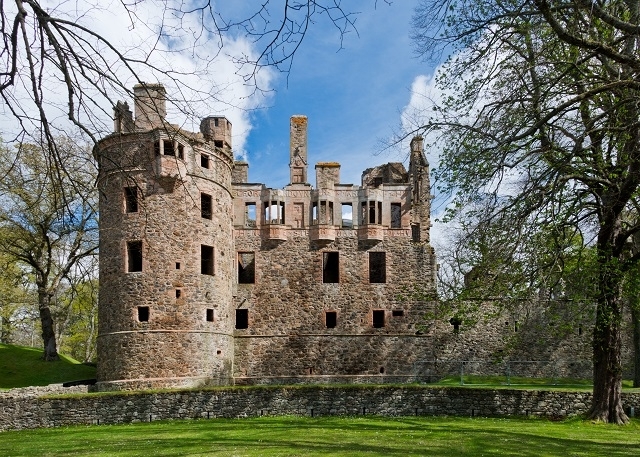 Huntly Castle is just a few blocks from the town square. I got some more cash out of the ATM just in case there was a gift shop. 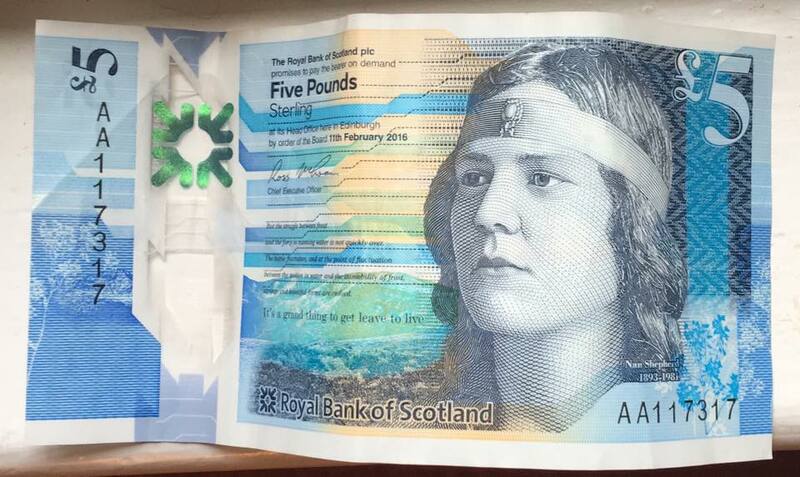 The fivver was a new one to me, and the woman turned out to be Nan Shepherd, a “Scottish Modernist writer and poet.” Don’t ask me what a Scottish Modernist is. Or any kind of modernist, for that matter. 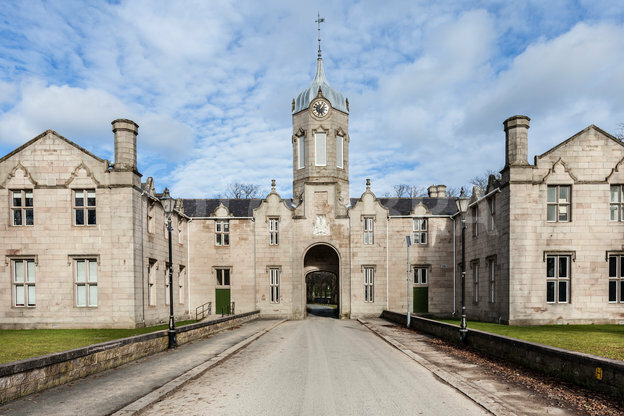 I walked down the appropriately-named Castle Street and through Gordon’s School, which is the local private (meaning public) high school. Got that? 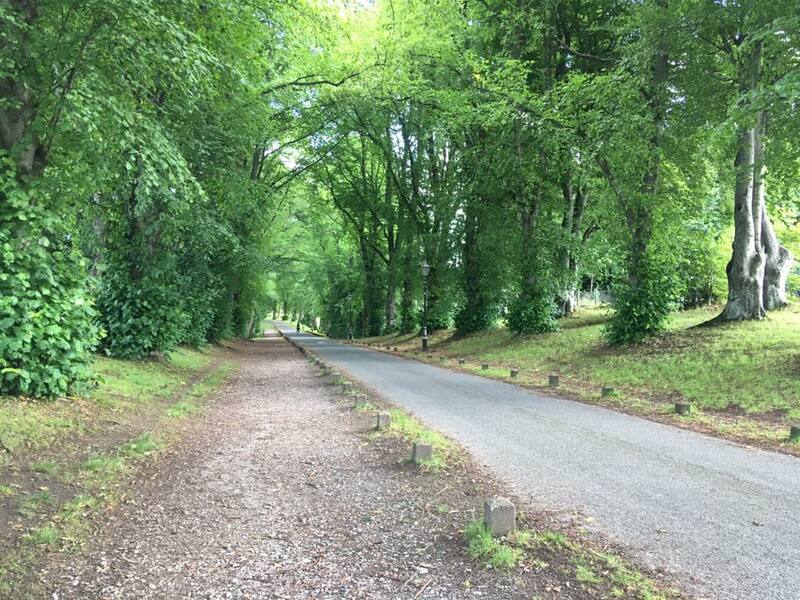 This is the lane leading to the castle, which is picturesque enough in its own right to warrant a wander. 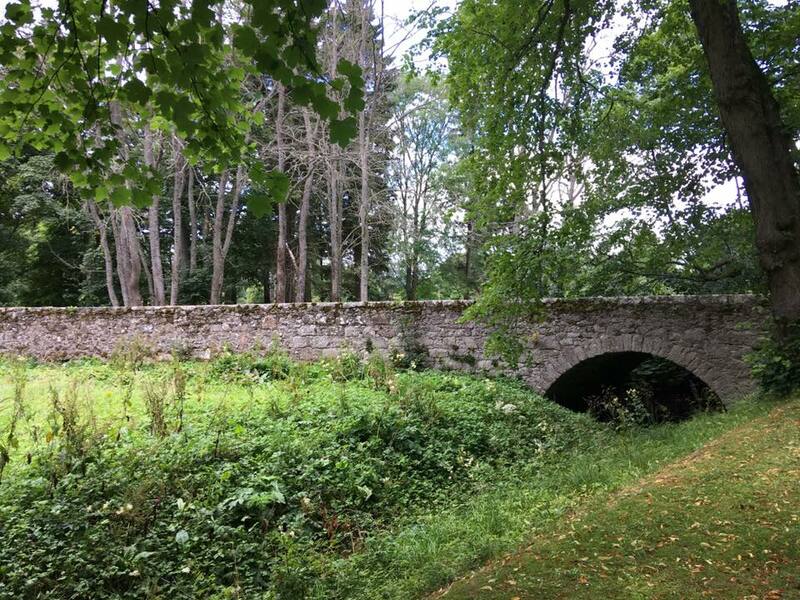 The castle was built near the confluence of the rivers Deveron and Bogie, and there’s a lovely bridge before you turn toward the castle. There was a small trailer at the entrance staffed by a young ranger or whatever they are called in Scotland. 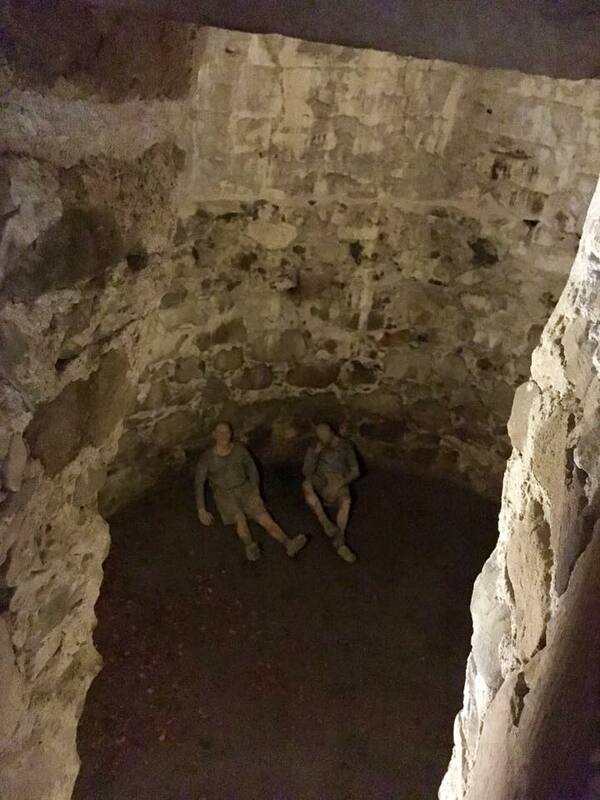 It felt sort of like a state park in Minnesota, only with a 900-year-old castle. The trailer included a wee gift shop. While I checked out the tartan coin purses, Highland Cattle-themed wall calendars, and bagpipe CDs, the ranger chattered away with me. Or at me. It was a slow day and she was lonely, like park rangers everywhere. 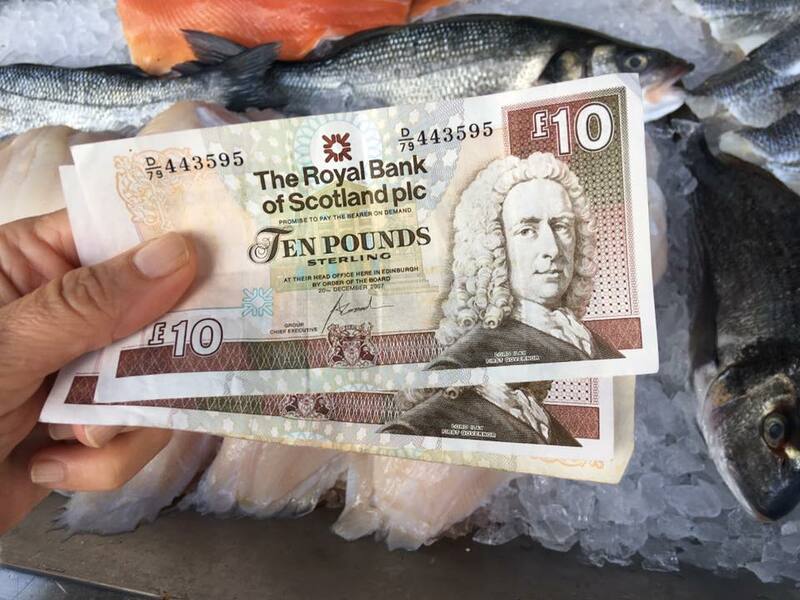 I handed over a Nan Shepherd for the entrance fee and was on my way. I recalled looking at the ouside of the castle with Lynn and Richard but why had I never gone inside? The following week, Lynn and I took a long drive to an event, and we passed half a dozen castles and other mammoth buildings. “There’s a manor over there,” Lynn waved nonchalantly. “Wow!” I exclaimed, impressed by the house near the road that was a little smaller than Dunrovin. To a native, thousand-year-old castles and manors and lords are a dime a dozen. But for me, being from the land of shopping malls and Kim Kardashian, they still impress. 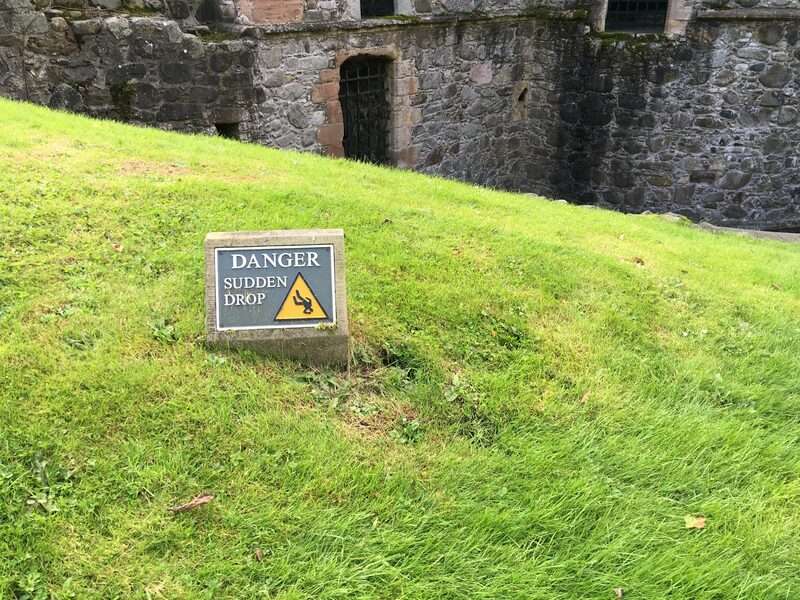 Back at Huntly Castle, I made sure to watch my step. And then I was standing at the entrance, entranced. There has been a castle here since the 12th Century. The original builder was Duncan, Earl of Fife. The front section, which is the most intact, is French-inspired. 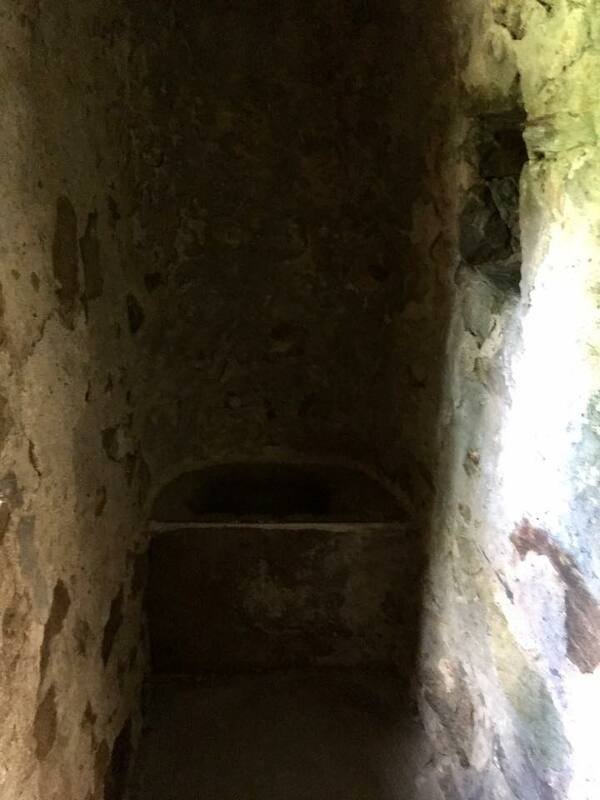 Did I mention it is a ruin? It was a beautiful day and the rose and ochre-colored stone was set off by the blue sky and emerald grass to marvelous effect. 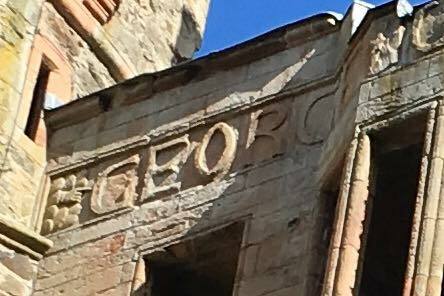 The Gordons were Catholics in a Protestant country. 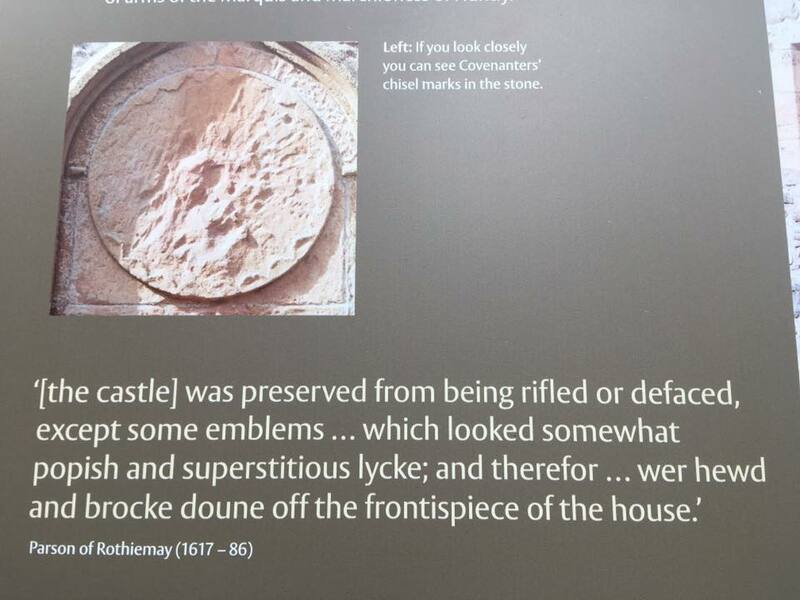 During the English civil war the “popish” symbols were chiseled off the castle by Protestants. 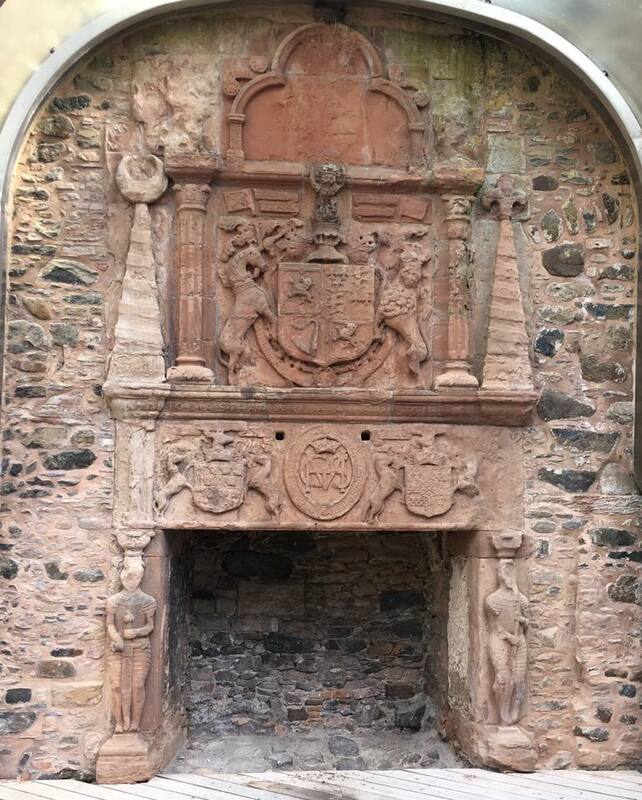 Inside, this fireplace had whatever was Catholic removed from the top. There were more fireplaces that appeared suspended in air because the wood floors were gone. 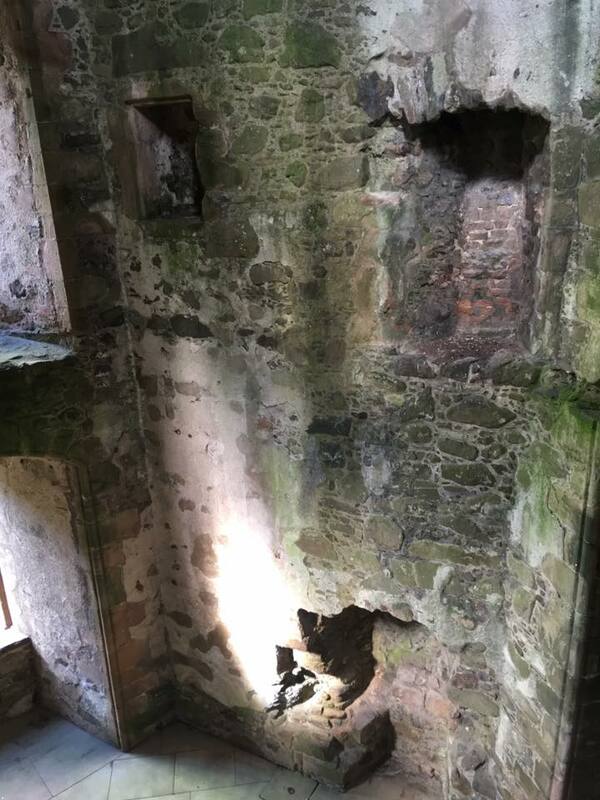 This was once a cozy sitting room at the top of a turret. Mary queen of scots ate here, and when the Earl pulled out all the stops to impress her, she turned around and imposed higher taxes on him. 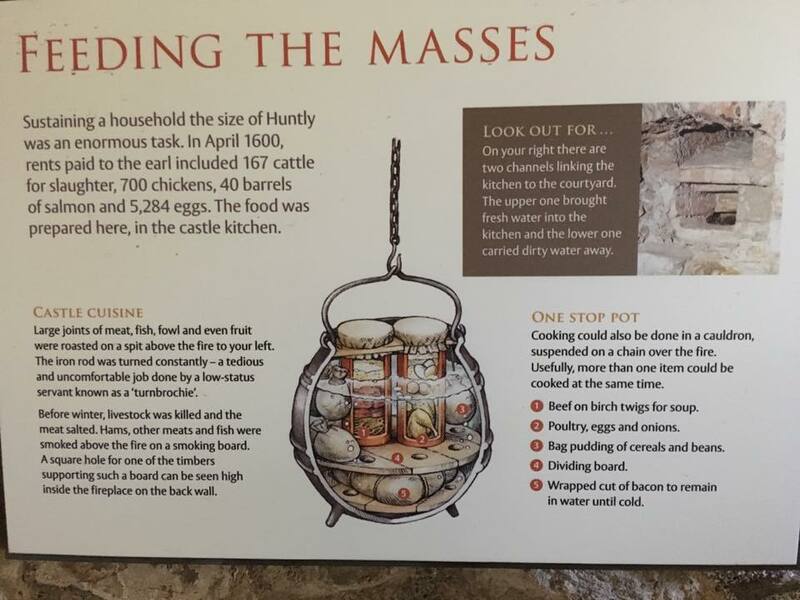 This described an early version of the crock pot. 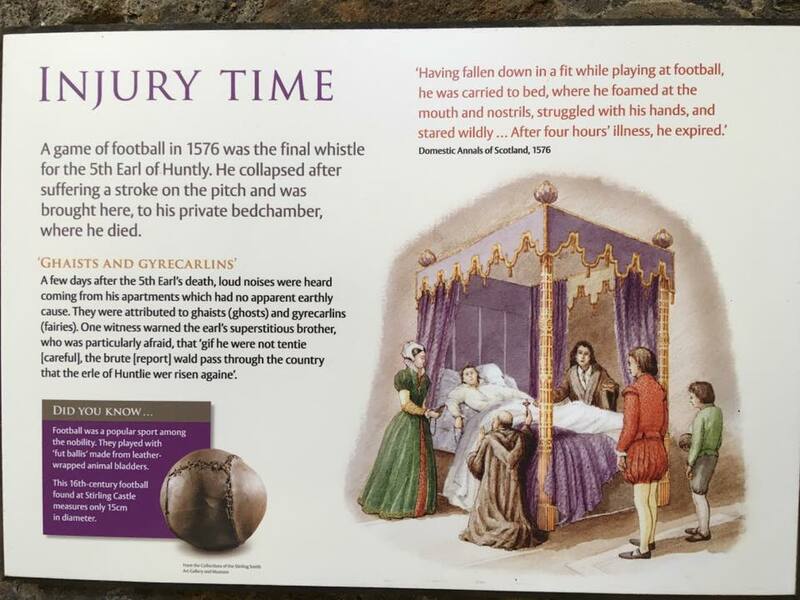 The 5th Earl of Huntly collapsed and died while playing football. Probably had coronary heart disease from all the rich food. My flash wouldn’t work, or you would be gazing upon “the oldest wooden toilet seat in Scotland.” Quite a claim to fame. 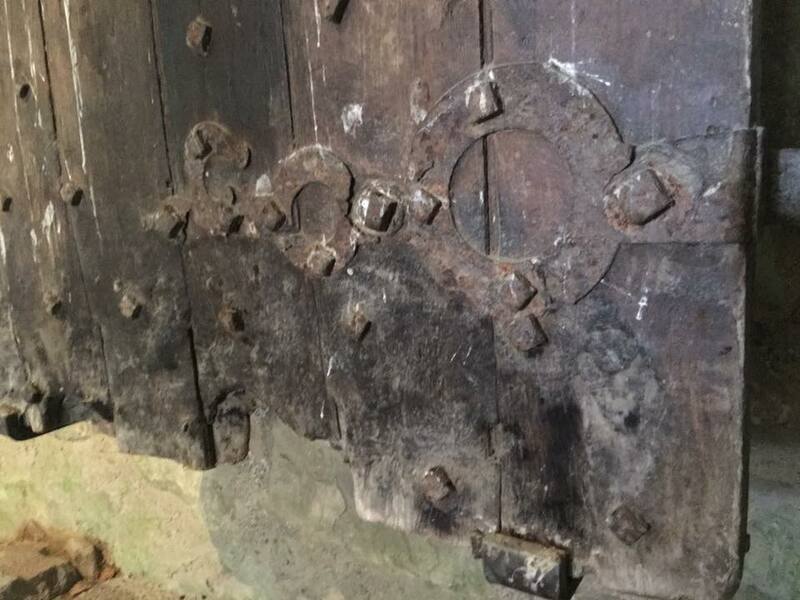 There was this old section of—it was claimed—an original door. Fabulous. I climbed to the top then to the bottom, where my heart was chilled by this sight. 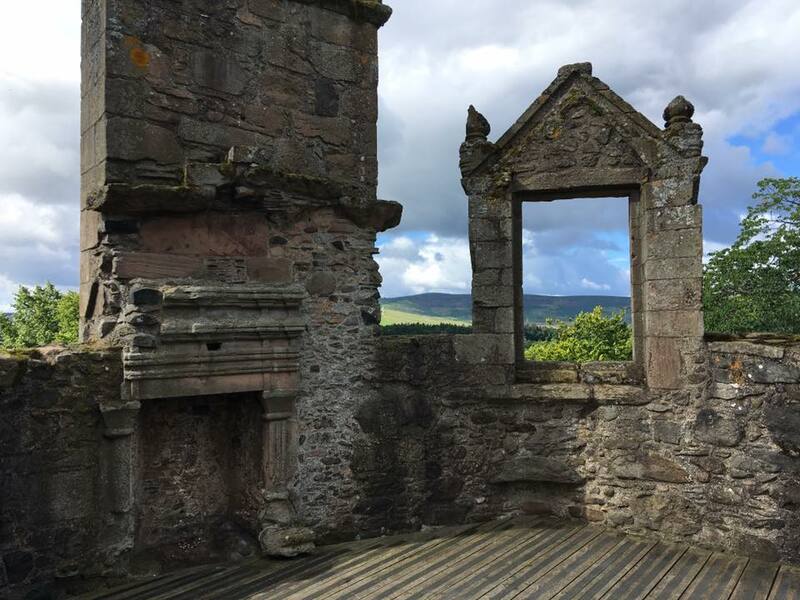 This entry was posted in Adventure, Budget travel, class divide, Culture shock, Living abroad, prison, Travel and tagged Aberdeenshire, Huntly Castle, Scotland on February 20, 2018 by Breaking Free.